Do you like houses? Do you like things that go in houses? Do you like the green bits that wrap around houses*? We’ve managed to wangle FIVE pairs of tickets for The Ideal Home Show which will be held at Olympia London from 17 March to the 2nd April. From kitchens and bathrooms to bedrooms and basements, fixtures and fittings to fine food, gardens and the latest in home renovation to fashion beauty and gifts, you’ll find it all under one Olympia-sized roof at this award-winning show. A celebrity talks theatre featuring the likes of David Domoney, Phil Spencer, our pal Alys Fowler, Laurence Llewelyn-Bowen and that DIY bloke off Big Brother. The Renovation Advice Hub, hosted by experts ranging from interior designers to architects, KBB specialists to landscape gardeners and DIY-ers. Show homes to wander around and coo over. Free entry to the Eat & Drink Festival, featuring fine street foods, live entertainment and cookery demos. A beer garden. Featuring beer. All names successfully completing the criteria above will be plunged into our ‘magical cement mixer’ and the winners plucked out randomly on Saturday 3rd March 2018. Check the Ts&Cs below and GET TWEETING! Entries must be submitted by midnight, 2nd March 2018. The winner will be selected at random from all entries fulfilling the criteria as stated above. The decision of the judges is final and no correspondence will be entered into. The winner will be drawn at random from all entries received by the closing date. Should the Promoter be unable to contact the winners or should the winners be unable to accept the prizes, the Promoter reserves the right to award the prizes to an alternative winner, drawn in accordance with these terms and conditions. The prize does not include travel between the winner’s home and Olympia London, accommodation, food and drink, personal expenditure or incidental costs. The post Win! Tickets for The Ideal Home Show appeared first on Two Thirsty Gardeners. If you can brave the cold weather and are prepared to forgo a nice warm duvet for a spot of outdoor hacky-choppy-action, now is the time to give your dormant apple trees a good prune before new season growth starts to emerge. The benefits from this are two-fold; to encourage and nurture a strong, disease free tree and more importantly, to ensure a healthy crop of apples from which to make cider in the autumn months. Pruning is often considered a dark art; something that should be left to a professional arborist, but just think of it like giving your tree a splendid haircut*, only the type of haircut where you might consider loping off an ear and maybe a couple of fingers for good measure. We’re talking Sweeny Todd here, not Nicky Clarke. You’ll need a pruning saw for any serious branch work, a pair of sharp pruners for smaller twigs and a pair of decent loppers for medium sized branches. When choosing the latter, go for a pair of cross cut loppers like these. Anvil loppers are super for crunching through dead wood but will leave living limbs mangled and at the mercy of diseases, and you really want to be making the cleanest cuts possible. When pruning, you should be looking to sculpt the tree into a goblet shape – one that has a nice, open middle to allow sunlight in through the canopy to ripen and colour the fruit. 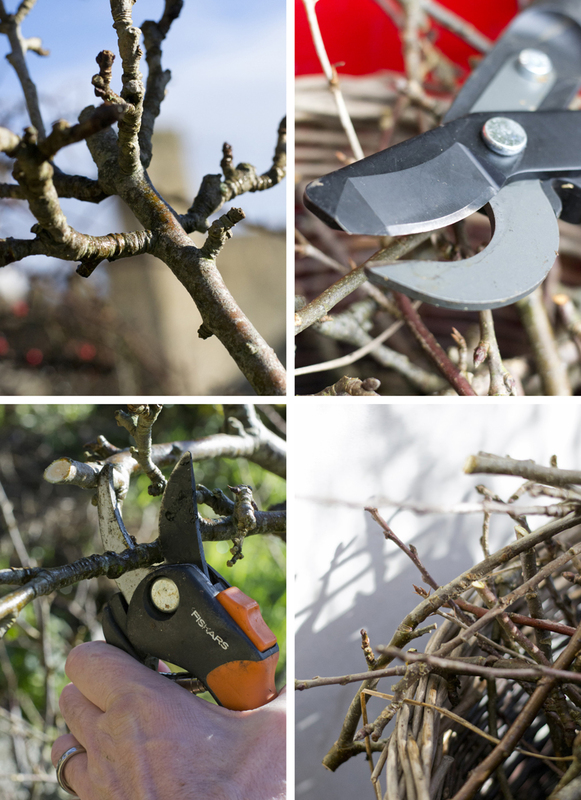 Begin by removing any dead or diseased branches with your pruning saw. Don’t bother smearing any tree paint over the wounds to help with the healing process – as long as you cut is nice and flush against the leading branch it will bark over naturally without any man-made interference. If your tree has reached the desired height, cut back any new growth at the ends of the branches by around 2/3rds. Leave young laterals to develop fruit buds. If you want to encourage a stumpy tree to grow taller, leave leaders and hack back any lateral branches. Afterwards, (as any half decent barber will tell you), clean your equipment thoroughly and if required, smooth out any burrs on your pruner blades with a whetstone. Finally, clean off any resin residue with WD40 and a healthy squirt of elbow grease. * I often talk to my trees whilst pruning, just like an intrusive hairdresser. “Would sir like a bit more off the sides? Where is sir going on holiday this year? Would sir like something for the weekend?”…That kind of stuff. We obtained our pruning tools from Homebase. Look see, here. The post Winter pruning appeared first on Two Thirsty Gardeners. The Talisker distillery has been in operation since 1835 and is the oldest and most famous of the island’s whisky makers. Peering across the craggy coastline, the company makes much of its proximity to the sea, producing whiskies with names such as ‘Storm’ and ‘Neist Point’, and using the ocean landscape prominently in marketing and packaging. 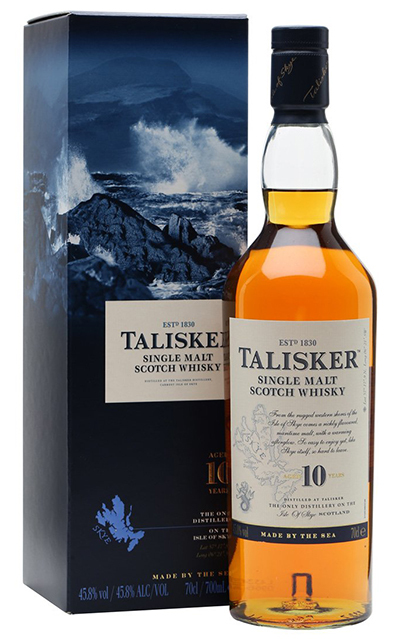 We’re highlighting the distillery’s most familiar bottle, Talisker’s 10 year old single malt, a whisky that’s the ideal starting point for anyone looking to venture into smoked whisky territory. Sidle your nose up to the rim of your whisky tumbler and you’ll instantly notice that this is a peated whisky. But it’s not one to fear for peat virgins. 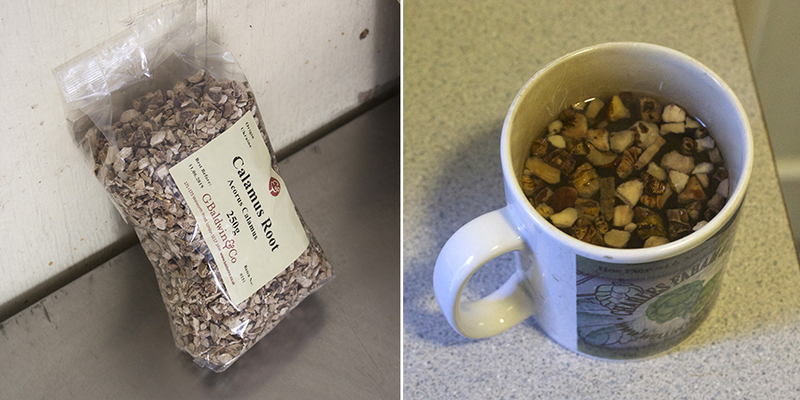 The first sip is pleasantly sweet with a good grainy character giving it some richness. Before a lovely dry, spicy finish kicks in, the peat has wafted into the scene, steadily building an intensity with every sip so that by the time you’ve finished your first dram you’re fully immersed in the smoke-experience without any bother at all. For drinkers who think this might still be too much smoke to start out on, Talisker Skye is a similar whisky with the peat turned down, while the aforementioned Talisker Storm pushes in the opposite direction, with an increased intensity of peat for your palette. 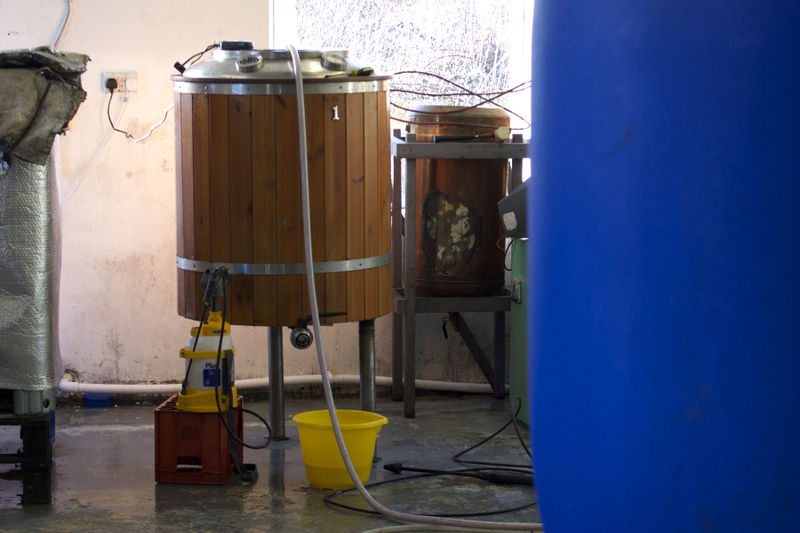 For anyone following in the footsteps of Bonnie Prince Charlie and Robert Louis Stevenson and finding themselves on Skye, then a tour of the distillery will provide you with a slice of the island’s history (and, of course, a taste of the whisky). There are currently three tours available: the Talisker Classic Distillery Tour is a mere £10 and lasts for 45 minutes; Talisker Flight at £25 is 1 hour 30 minutes and finishes with “an informal tasting of several expressions of Talisker Single Malt”; and the Talisker Tasting Tour is a 2 hour in-depth tour with a tutored tasting of 5 expressions of Talisker, costing £40. 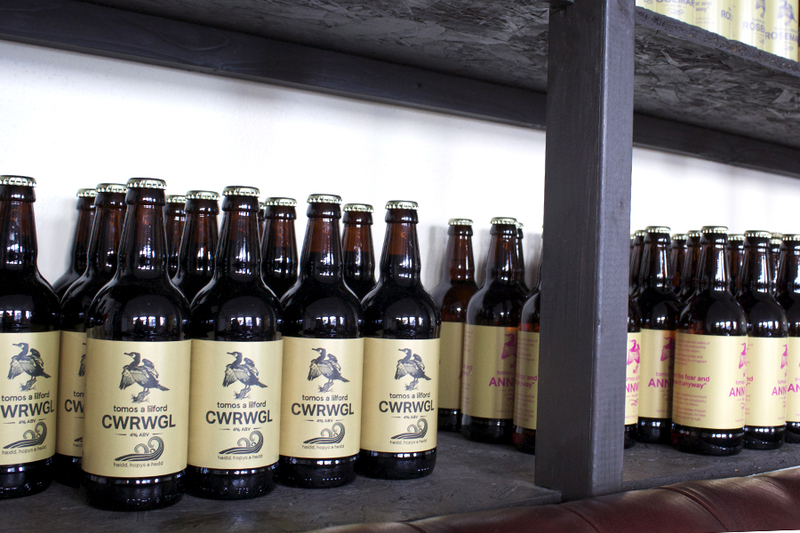 Check the website for opening times. Talisker gets its name from Talisker House, historical home of the Clan Macleod, although the distillery is situated some five miles away at Carbost, Loch Harport. The area is notable for the presence of two rare species of Zygaenidae moths, the Talisker burnet moth and what sounds like the hardest moth to spot, the transparent burnet moth. The post Talisker 10 Year Old whisky – the taste of Skye appeared first on Two Thirsty Gardeners.